Get ready for the Legion's arrival with our survival guide video and a collection of all the content and features that are coming in the Legion Pre-Expansion Patch, 7.0.3. Open up the walk-in closet of wardrobe updates and look around at whatâ€™s in store for your characterâ€™s looks. 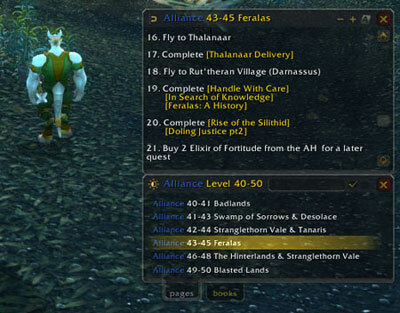 Warlords PvP Season 3 is ending and here's how the transition will take place. Assistant Game Director Ion â€œWatcherâ€ Hazzikostas answers questions for Legion submitted by players. Sit down with Senior Developer Paul Kubit as he answers your questions on Legion Professions. Senior Game Designer Jeremy Feasel answers your questions on World Quests and the Demon Hunter event. Join us for an Engineerâ€™s Workshop. We delve into an exciting visual update to extend draw distance for Legion. Gear up for battle with Senior Game Designer Brian Holinka as he shares what's in store with upcoming changes to PvP. Preview class changes, new transmogrification collections system, and more! A list of known issues for World of Warcraft Legion Pre-Expansion Patch 7.0.3. Find more information on common technical issues.